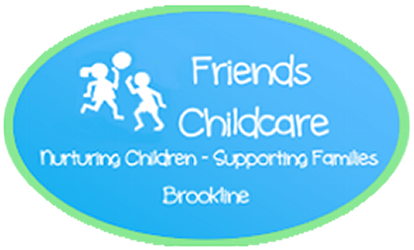 Friends Childcare uses renowned pedagogies to promote learning while encouraging self-expression and individual growth. We provide an enriching environment for early childhood development that will help build self-esteem and self-confidence in our children as we focus on learning through play. The philosophy that we live by is creating early childhood development programs that fulfill the emotional, social, cognitive, and physical needs of what is known to be the most significant period of human development. Our staff is well educated and trained in developmentally appropriate practices for early childhood education, First Aid, and CPR. We welcome all children ranging in ages from six weeks to five years old, and do not discriminate based on background or home life. Our mission is offering loving and supportive interactions to young children in order to promote positive life experiences. 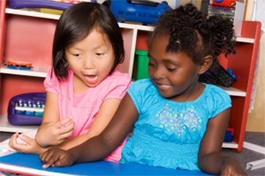 We strive to create a safe and nurturing space that offers them room to explore, discover, and learn through play. We offer a variety of activities ranging from music and science, to baby massage on a weekly basis. Please feel free to explore our website and schedule a tour to visit our center. "Our daughter started in the Infant Room at Friends Childcare when she was 12 weeks old. From the beginning, the staff at Friends were understanding and supportive to us, and incredibly nuturing to our little baby. She is now 2 years old, in the Toddler Room, and runs into her classroom every day to greet her friends and teachers. She is excited to go to school and has learned so many things in their positive, enriching environment. We are grateful that everyone at Friends is so dedicated to her development and happiness. 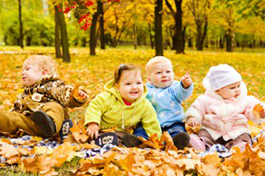 It's truly a lovely place for your child to spend their day." -S.M.